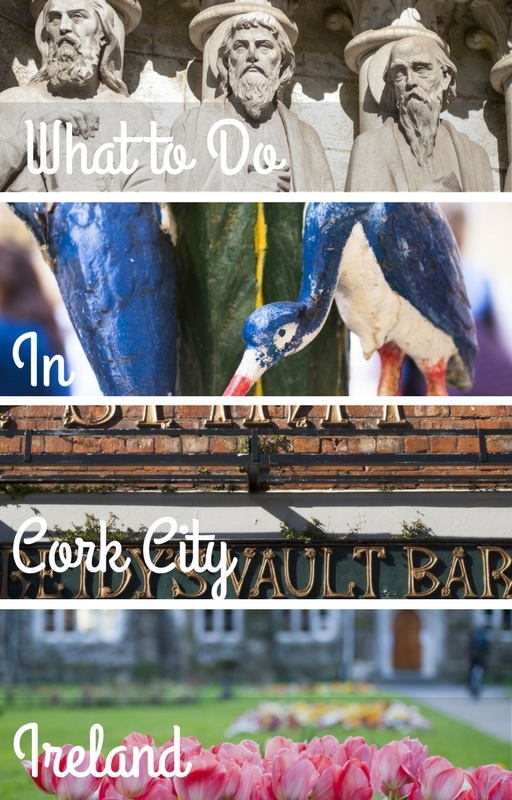 What is there to do in Cork City? West Cork may be famous for its foodie culture and scenery but resist the urge to skip Cork City if you’re visiting Ireland or if you live in Dublin and just fancy a weekend break. Cork may be part of the Republic of Ireland but the so-called People’s Republic of Cork has a vibe all its own with great craic. Some Corkonians would argue that Cork City has even more to offer than Dublin. 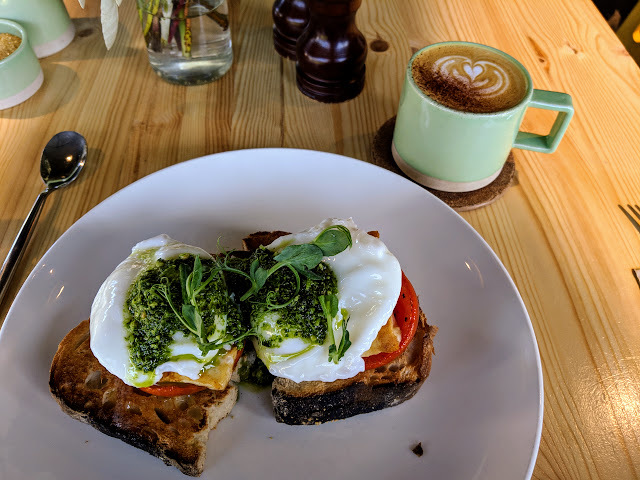 Read on for our favorite free things to do in Cork City plus recommendations on great places to eat and cultural opportunities. You'll find plenty to do to easily fill a weekend in Cork. 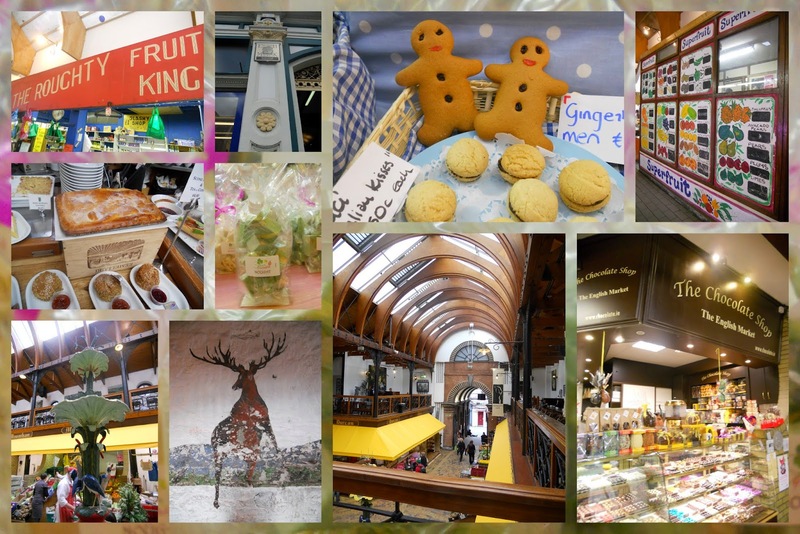 Given the turbulent 800 year relationship between England and Ireland, it's somewhat surprising that one of the top free Cork attractions is called the English Market. History aside, this old Victorian era food hall has great atmosphere and fantastic eats. University College Cork is one of the top universities in Ireland. 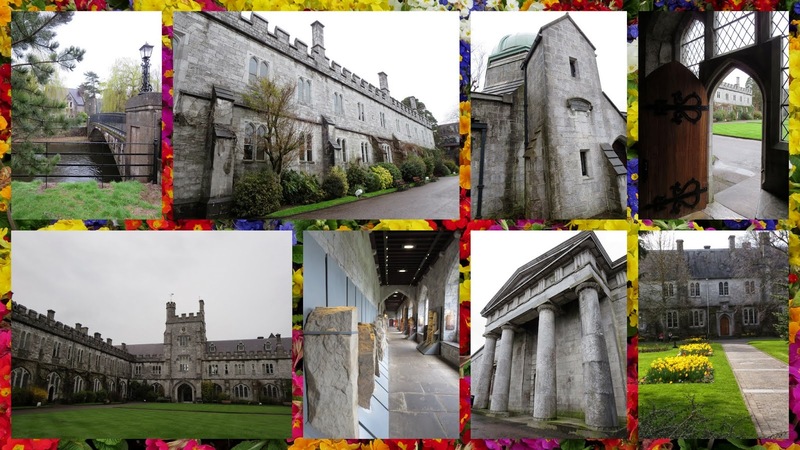 Located just outside Cork City Centre, UCC also happens to have a gorgeous campus. Take a stroll around and explore the old observatory, the grey brick buildings of the quad, and see old runes on display that are hundreds of years old. 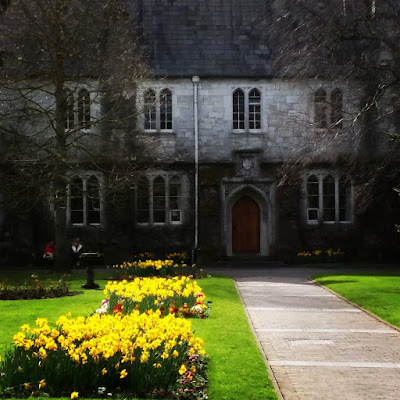 If you are favored by sunny weather, definitely take time for a Cork City photowalk. Cork is immensely Instagrammable. Cork's architecture features gothic churches, historic pubs, and Georgian classic design and edgy street art. The interesting people you meet also add to the picturesque charm. Just a ten minute walk up a small hill from Cork City Centre lies Nano Nagle Place. 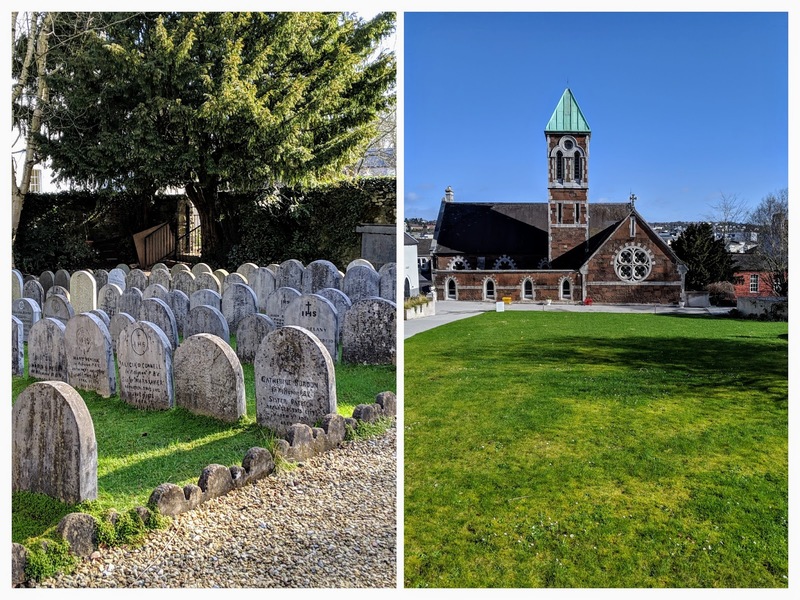 This sanctuary in Cork City features religious history, a garden, and great views that you can explore for free. You'll also find a museum onsite that you can visit for a fee. The Nano Nagle Place museum was closed when I visited on a Sunday morning for brunch at the Good Day Deli (see below for details). Who was Nano Nagle? Nano Nagle was a nun and founder of the Presentation Sisters. She was a pioneer for Catholic education during the time of the Penal Laws in Ireland. She set up a school for the poor in Cork despite the risk of imprisonment. The Gardens at Nano Nagle Place span three terraced levels. On the upper level, you'll find the Good Day Deli and amazing views over Cork City. On the lower levels you'll discover a small cemetery and memorials to the Presentation Sisters and the brothers who worked side by side with them. County Kerry may be famous for butter but Cork City was once situated at the crossroads of butter-related commerce with farmers from throughout the countryside descending on the local Butter Market to sell their product and see it shipped around the world. Today, the Butter Museum is located next to the historic butter market in the Shandon neighborhood of Cork City. It was fascinating to see historic waxy butter labels on display. I even got to help churn butter by hand as part of a daily hands-on show. I've never seen another museum like it in the world. 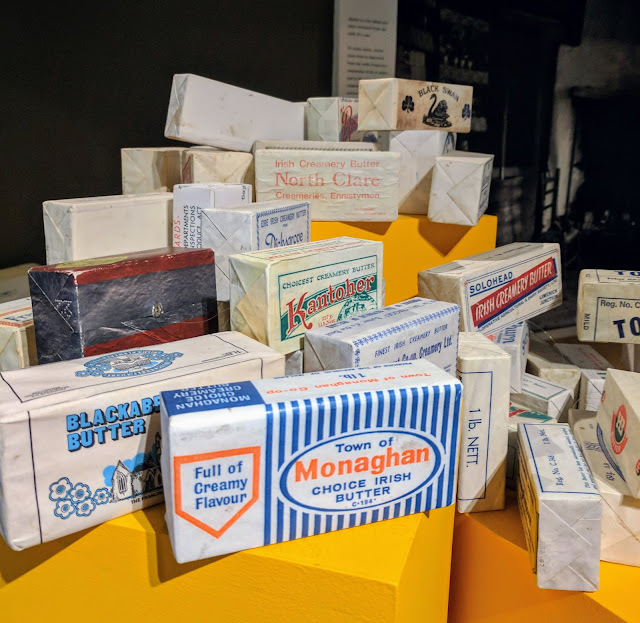 Cork's Butter Museum is definitely worth a visit. 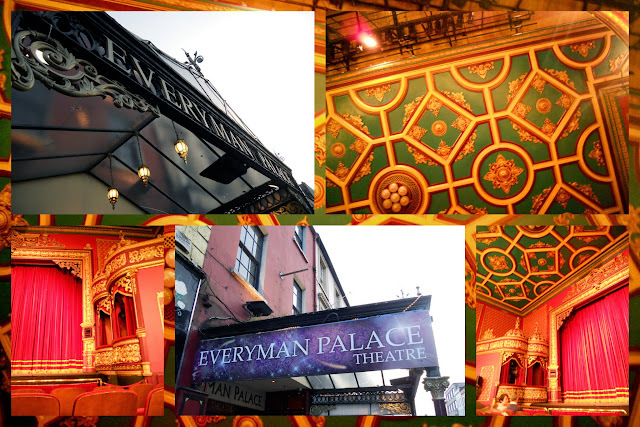 The Everyman Palace Theatre has a richly decorated interior and sumptuous red velvet chairs and curtains. If there is a show on, definitely catch it. You're in for a treat. 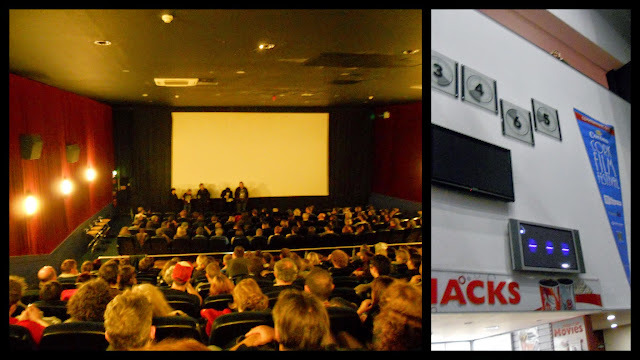 Cork City boasts the Cork Film Festival every November. Many of the films have a local flavor. My friend Aoife actually screened her short film Oscar, a documentary short about a devoted dog and his sea-ferry captain companion at the Cork Film Festival so we had a chance to walk the red carpet ourselves. 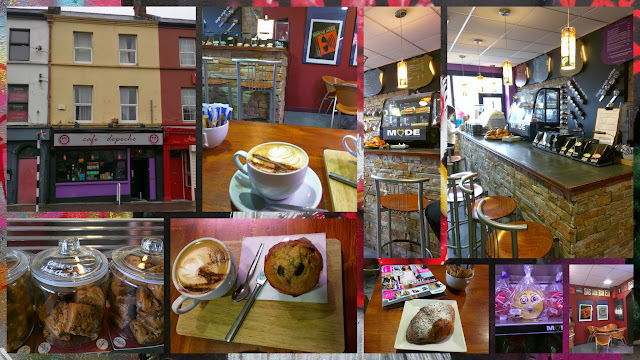 Down near University College Cork is a small coffee house with a singular theme. It's all about Depeche Mode. Their music plays all day and their album covers grace the walls. I'm not sure if the barista was even alive when the band got together but no bother, We love Depeche Mode! Based on a recommendation from a local who I met at University College Cork, I made the trek up a small hill from Cork City Centre to Nano Nagle Place. Situated in the upper terrace garden, you'll find Good Day Deli. Serving vegetarian dishes plus scrumptious coffee and sweets, Good Day Deli is a fantastic place to start the day. Go early though. Good Day Deli attracts a crowd of Cork City residents on the lookout for a great meal. I went right when they opened at 10 am on a Sunday and was seated immediately without any issue. The tables soon began to fill up around me. To get to Good Day Deli, walk into Nano Nagle Place through the gift shop and you'll see signs leading to the cafe. Dublin can be a bit challenging for vegetarian foodies. Not so in Cork City. 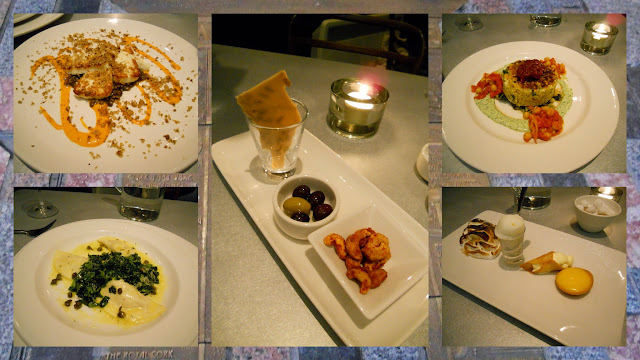 Cafe Paradiso, the top vegetarian restaurant in the country proves that vegetarian cuisine can be both imaginative and delicious. Even those that normally eat meat (like us) seek this place out. 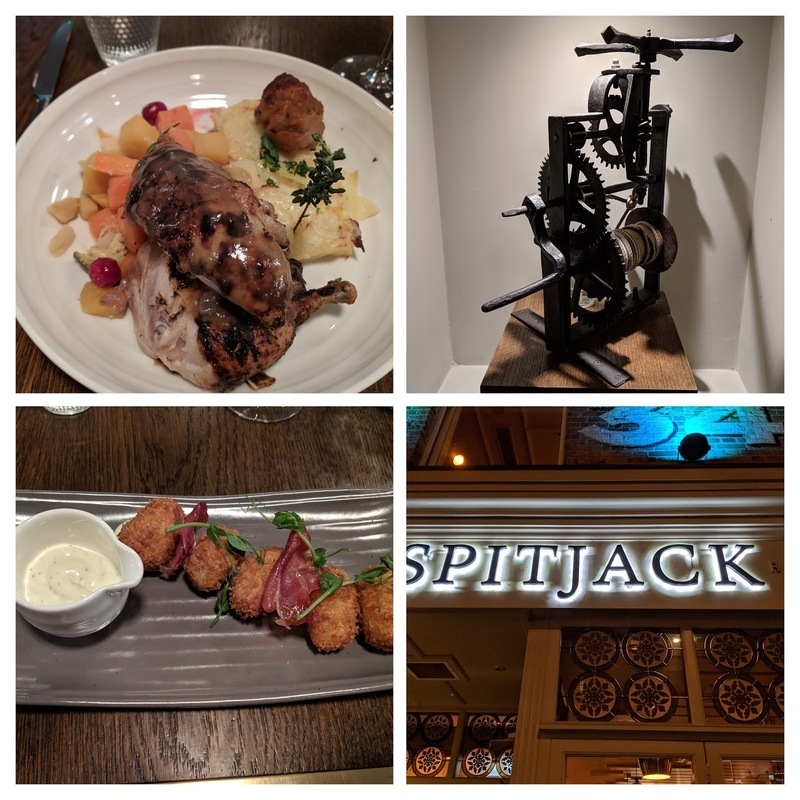 If you are looking for something more meatatarian for dinner in Cork City, check out Spitjack. Spitjack is an upscale barbecue joint so you'll definitely need a reservation. I was only able to get a table at 9:30 pm when I called for a booking on the same day that I wanted to dine. Enjoy succulent meats, spicy croquettes, and a bit of history. There are a number of old manual spitjacks (tools for roasting meat) on display in the restaurant. 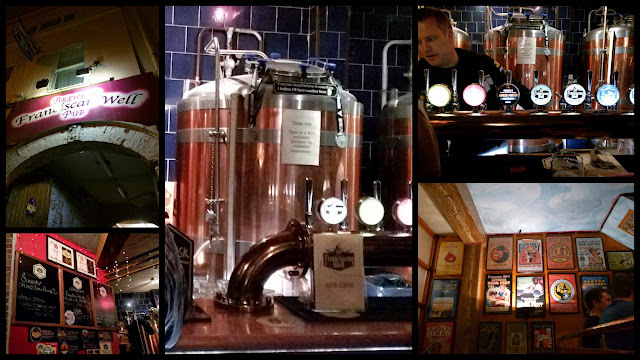 Franciscan Well is one of the original breweries in Ireland that started what seems to be a craft beer revolution. Stop by the brewery in Cork City for a mighty fine pint and perhaps a pizza if you're feeling peckish. If you are looking for things to do in Cork City at night, keep an eye out for Cork's fantastic pubs. "Ah, go on, so!" I love the characters you find in the pubs in Ireland and this is particularly true in Cork. 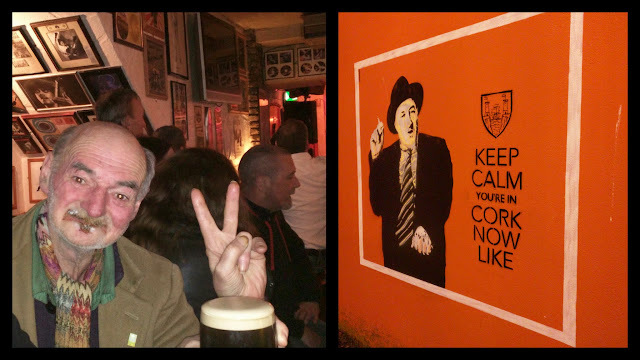 We wandered into Ziggy's Bar in Cork City Centre. I asked yer man (I soon learned that his name was Tom) if the seats next to him were free and he proceeded to talk my ear off for an hour and insisted on buying us a pint of beer. He slapped a 50 EUR note into my hand and wandered off to the loo. What a hoot. 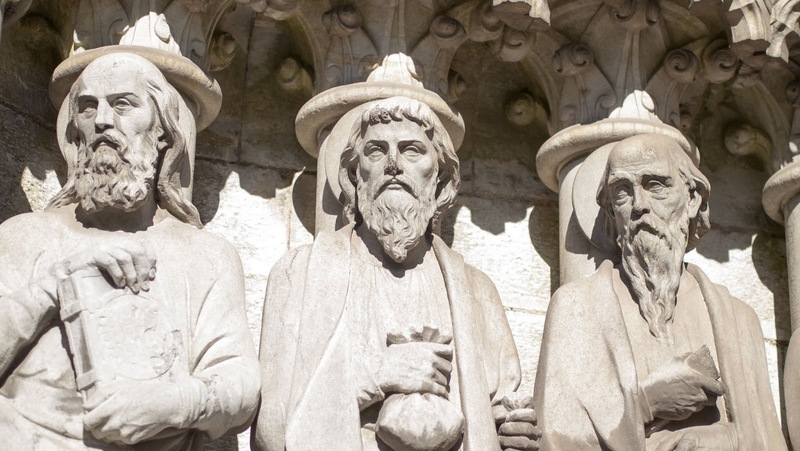 Tom was a typical Cork man with the gift of gab. 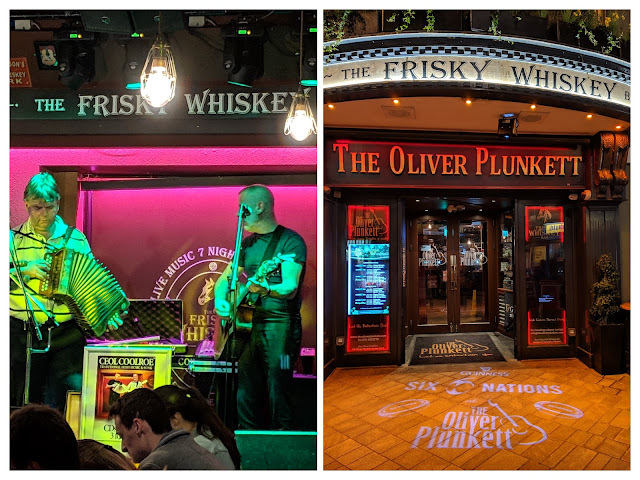 Check out The Frisky Whiskey Bar at the Oliver Plunkett. Grab a pint or a wee dram and enjoy an array of music in the upstairs bar. For something with more of an old school vibe in Cork City, wander into The Castle Inn. 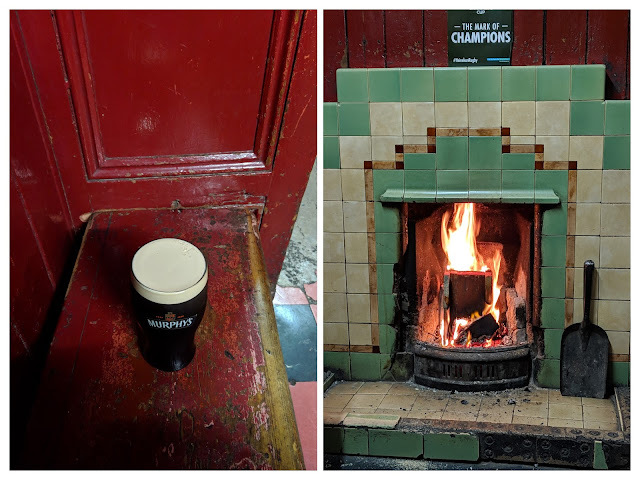 Ask for a pint of Murphy's and then sit along the hard wooden benches along the wall in front of a roaring fire to enjoy your drink. 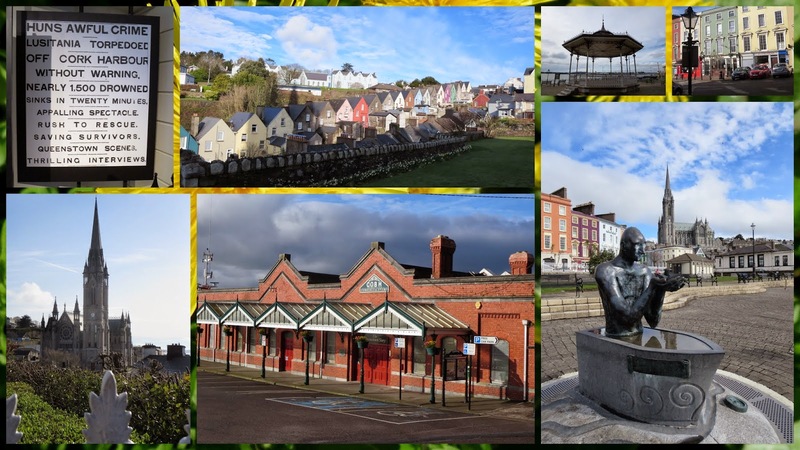 If the weather is fine, a day trip to Cobh from Cork City is just the thing. Take the train into town, climb the hill, and imagine waving farewell as the Titanic steamed out of port on her fateful maiden voyage. There is a museum in the train station devoted to Titanic and other ships that passed through these waters. The Lusitania also met her end just offshore. 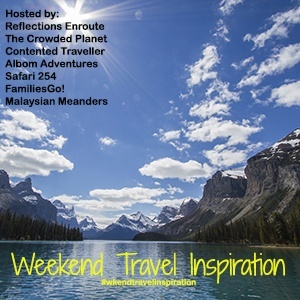 SIDEWALK SAFARI SPOTLIGHT: Looking to explore County Cork beyond Cork City? Consider a road trip to Kinsale, another foodie mecca in Cork. While you're at it, you'll find great spots for birdwatching in East Cork. Is Cork City Ireland Worth Visiting? As you can see, there are plenty of things to do in Cork City that make the trip worthwhile. Many people pass Cork City over in favor of a drive through the wild West Cork countryside but Ah, go on, so. Stay a while. 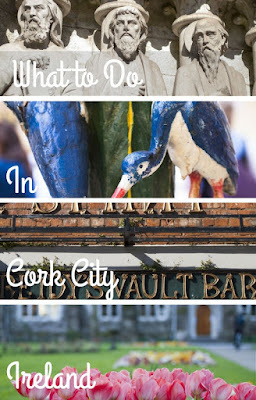 Did you enjoy this post about what to do in Cork City Ireland? Sharing is caring. Find out what to do in Cork City for the weekend. Why visit Cork City on a trip in Ireland? 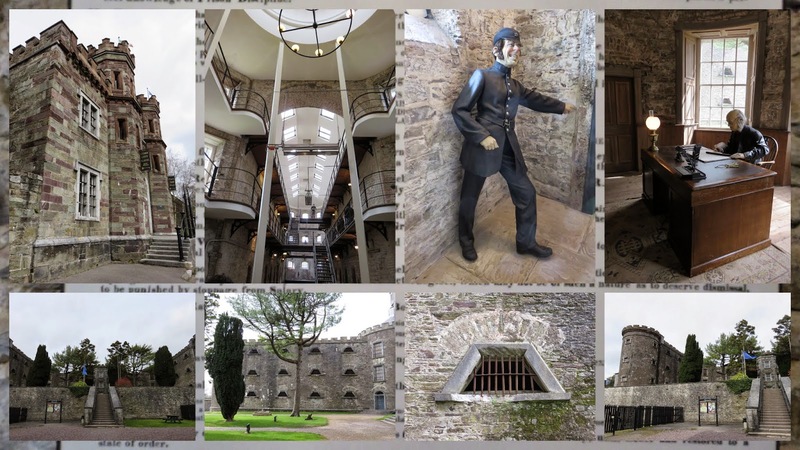 There are plenty of free things to do in Cork plus great places to eat and cultural activities.